“We have to give them the game early on so they can change the world,” -Richardson. Dream Builders 4 Equity is in the business of transforming the lives of inner city youth one dream at a time. Laying the foundation, hard work, and perseverance, the youth involved in Dream Builders 4 Equity leave feeling empowered and motivated to excel by reaching their fullest potential. 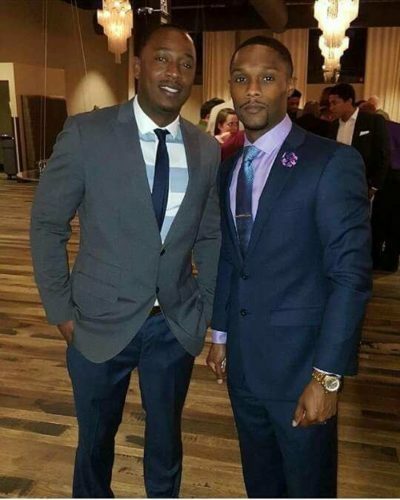 Started by St. Louis natives, Neal Richardson and Mike Woods, Dream Builders 4 Equity is a youth inspired non-profit program whose goals include helping at risk youth by empowering them with job training skills, tutoring, mentorship, and leadership skills. Both Richardson and Woods are providing their students with a tangible success and product. Richardson hopes the students realize anything they dream can become a reality. 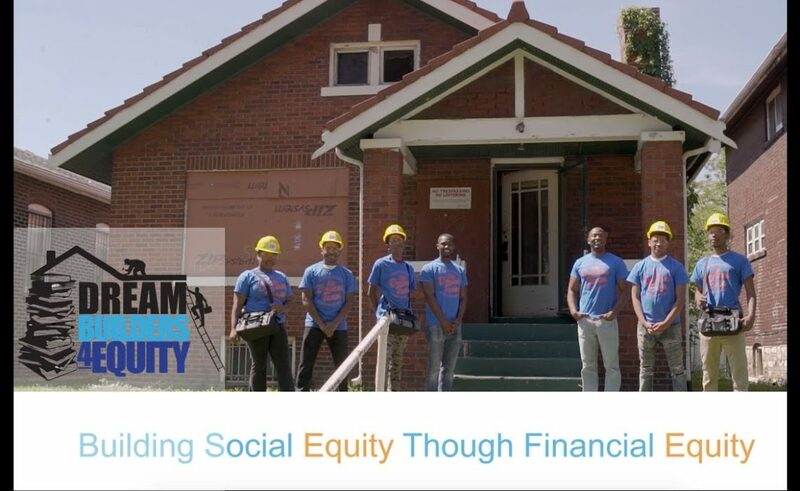 Through real estate rehabilitation, five to ten youth from Beaumont High School and Lift For Life are given the opportunity to rehab homes in underdeveloped communities around St. Louis City. Dream Builders most recent project is rehabbing a home in the Fountain Park area, each student is learning demolition, dry wall, and painting. Through their sweat equity put into these homes, when the property is sold the students will earn 30 percent of the profit, which will go directly into a college savings account. To tell their story and explain their experiences, each student is required to keep a journal. The journal is to show the youth’s transformation throughout the program and how it has had a positive impact on their lives. Later the journals become published books and each student can earn money from their book sales. All the profits and funds from the book sales go into each student’s personal checking and savings account. ” We have found it (journals) is very therapeutic for the students to have this time and space to express themselves,” says Neal Richardson. Richardson, a St. Louis native was raised on the west-end of St. Louis, and has a passion for impoverished neighborhoods. After high school, he attended Ranken Technical College, where he earned his Associates degree in electricity. He later graduated from Webster University with a Bachelor’s degree in Business Administration. After interning for a few local real estate companies, Richardson worked his way up to Property Manager, then to the role of Assistant Director at Assets Managing Group. Coming from those same communities affected by poverty and crime, Richardson hopes to one day see them thrive and the youth transform in a positive way. Woods, also a St. Louis native, spent most of his childhood in Walnut Park, and hasn’t left his city roots. He currently resides in the Hyde Park area in North City. Woods, like his business partner has a soft spot for at risk youth and the communities they live in. After high school, Woods attended Lindenwood University, earning his degree in Psychology. He is now a certified personal trainer with the American Counsel Exercise, an author of three self-published books, and has his own gym located in the Downtown St. Louis area. He is also the Co-founder of Connected St. Louis, a local non-profit organization. Yo if you haven’t noticed these men are getting it done! Neal Richardson and Mike Woods were just chumming it up one days, discussing ways and ideas on how they can give back to the community, while helping the youth in our area. Both thought it would be dope if they can provide students with the financial and economical knowledge they have now; benefitting the community and generations to come. Richardson and Woods have overcome a lot of challenges, having to figure out some of them on their own. Nevertheless, they feel our communities can overcome many of the challenges we face, if given a chance with the right resources. Because so many of our youth go through traumatic experiences, and resources are limited, the system can seem like a trap if the cycle isn’t broken. Richardson and Woods hope their program will not only teach their mentees job training skills, but also help build their confidence while giving them something to look forward to. To an outsider looking in, one might think these two men were wasting their time serving in communities in North City. Some might even suggest that folks in that area are beyond help and they should focus their energy somewhere else. Still, if you know these two dynamic men, then you know to them quitting is not an option. They are very purpose driven about Dream Builders for Equity, and the work they’ll be doing in north city. They fully understand why most of the city’s funds are allocated to the Central West End and South St. Louis. If we’re being honest, North St. Louis is constantly being skipped over, and it’s been that way for years. So, when they chose Beaumont High School, those steps moving forward were paved with great intentions. Beaumont High School located in north city is now an alternative school. Most of the students who attend Beaumont have either been suspended or kicked out of their regular school. Richardson and Woods strongly agree those students need Dream Builders for Equity the most, and if they are going to make a powerful impact, they needed to start in the most distressed areas and schools. Neal Richardson and Mike Woods have so much to be proud of. 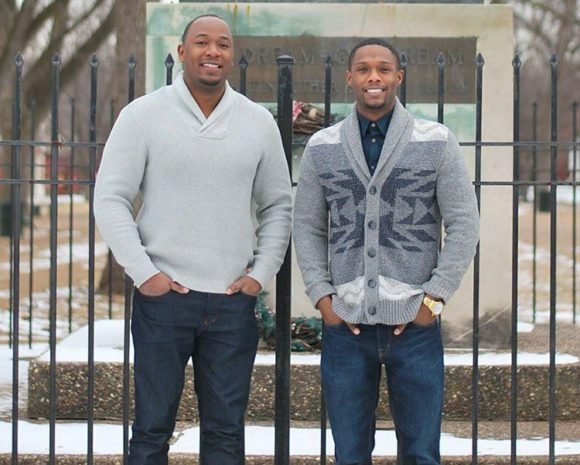 They earned their 501C-3 status in just two months of starting Dream Builders for Equity, their students now hold the title of author and have also published a book (Together We Can Break Chains). They have raised $3,500 in books sales, though the greatest accomplishment for them both are the students who leave their program with a light in their eyes that involves a brighter future for them and their community.